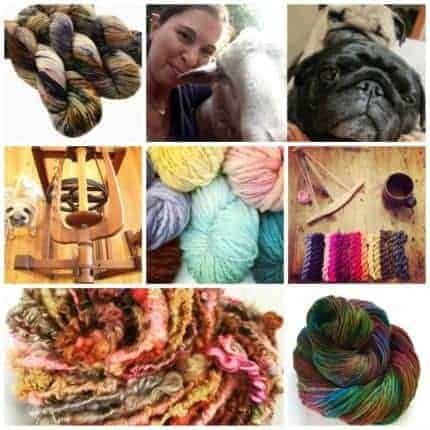 Hampton Artistic Yarns is entering it’s 9th year this November and I have to say, it’s been such a fun and wild ride. Looking back, I’m so thankful for my loyal customers and for all of the other wonderful people that I’ve met in the fiber industry. What a bunch of creative, sharing, talented, and fun people! I’m grateful to have learned so much and to have been able to build a business that makes me happy to go to work every day (even if it’s just to my kitchen – a.k.a. dye studio). As a thank you, everything in the shop will be on sale on Thanksgiving Day through Cyber Monday. Happy Holidays! Just listed in the shop are new eight colorways of Wander sock yarn. Wander is 75% Superwash Merino and 25% nylon — perfect for socks, shawls, or baby items. It’s been hand dyed in small batches to create self-striping effect over short sections of fabric (socks, sleeves) and pooling over large sections (shawls, sweater backs, etc.). Visit the shop to check them out! 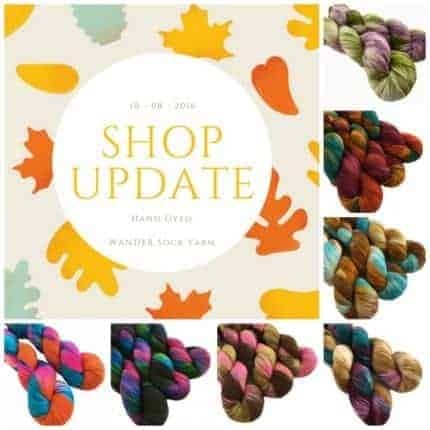 New yarns are in the shop! I’m back from The Southern Adirondack Fiber Festival and wanted to say thank you to everyone who stopped by the booth to say “Hey!” to H.A.Y. It was so lovely to see all of you! I’ve been dyeing up a storm since I returned and have been stocking the shop daily, so be sure to check in. There are new sock yarns (both speckled and striped), bulky thick-n-thin (perfect for your next winter cowl or scarf! ), and fun, funky handspun yarns. Lots more to come over the next week too! 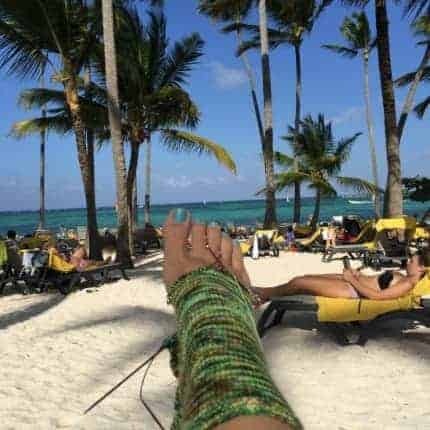 I’m recently back from a family trip to Punta Cana and did lots of sock knitting while traveling. Right before I left, I dyed up a bunch of new speckled sock yarn skeins and grabbed one for beach knitting. These skeins are super variegated and knit up with lots of color variation from row to row to avoid pooling. I’m just now finishing up the green pair of socks that I worked with while tanning and started a second pair in my purple colorway on the plane ride home. Check them out in my shop!